Another high profile government in Buhari's "government of truth" has found himself in the web of alleged financial fraud. 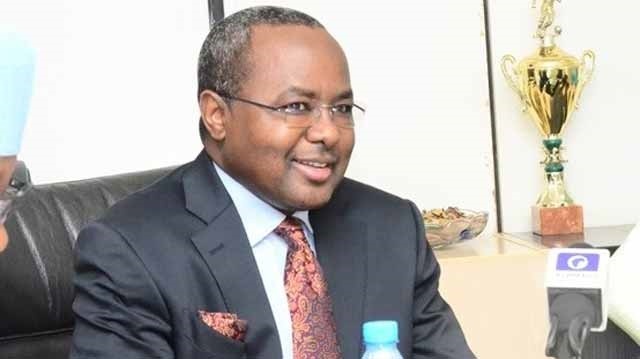 The Director-General of the Securities and Exchange Commission (SEC), Mounir Gwarzo has been suspended. His suspension according to the Minister for Finance, Kemi Adeosun is to allow an unhindered investigation into several allegations of financial impropriety levelled against him. The Minister said the decision is in line with the Public Service Rules (PSRs) 03405 and 03406. Adeosun has set up an Administrative Panel of Inquiry (API) to investigate and determine the culpability of the Director-General. She has directed the suspended SEC Director-General to immediately handover to the most senior officer at the Commission, pending the conclusion of investigation by the API. Also suspended are two management staff of the Commission – Abdulsalam Naif Habu, Head of Media Division and Anastasia Omozele Braimoh, Head of Legal Department – who were alleged to have engaged in financial impropriety in the commission.